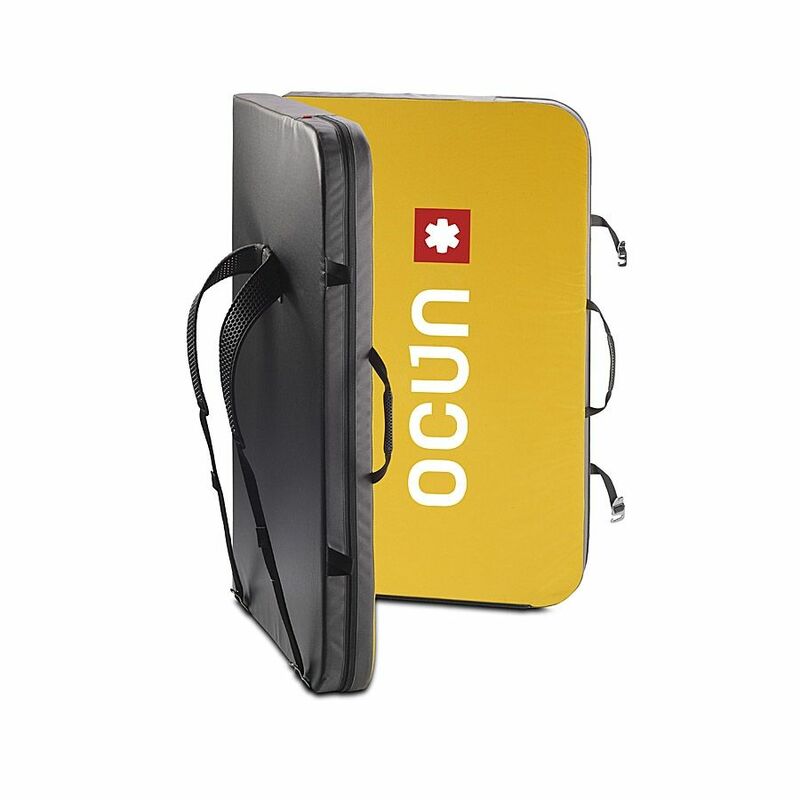 The Ocun Paddy Sundance Crash Pad is an all-round bouldering mat with a two-piece design that means it can be set up width-ways or length-ways to suit your climbing needs. Featuring padded backpack straps that can be readjusted to become a cross-body shoulder strap, the Ocun Paddy Sundance is easy to carry to and from the crag, while the carry handles at the sides mean it’s easy to transport between problems. The outer is made from reinforced, weather-resistant nylon with an ultra grippy and durable base so the pad won’t slide around, while the dual-density foam inside provides optimal cushioning and shock absorption.